It is alleged the animal went to the pond to cool off. 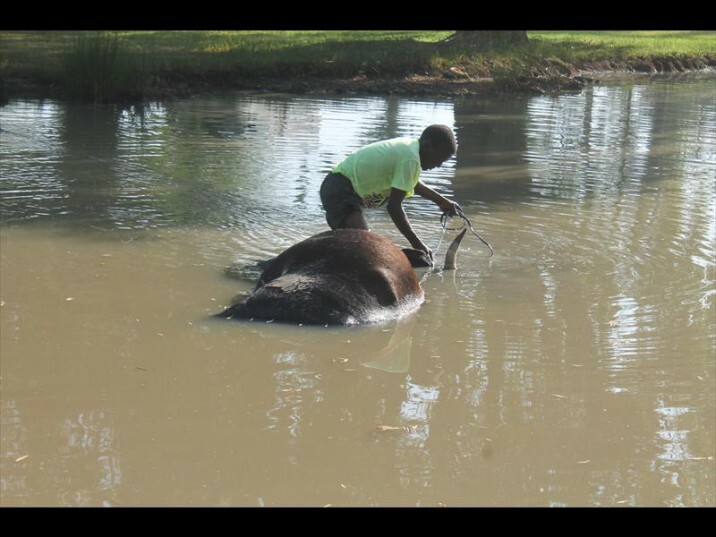 A cow has been removed from the Standerton Country Club after it was found floating in the pond. Jandre Kasselman of Kasselman Security Services said the cow was seen walking near the golf course on Saturday, Standerton Advertiser reported. It is alleged the animal went into the pond to cool off. Kasselman said the cow looked very weak and sick. It was removed from the pond earlier on Moday. “We are going to bury it and will ensure that other animals cannot reach it,” he said. The owner of the cow remains unknown at this stage.